On September 12, 1913, James (Jesse) Cleveland Owens was born. In honor of his birthday, let’s take a look back at his career and what made him a pioneering legend. 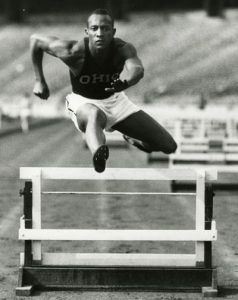 For a full Jesse Owens biography, visit The Ohio State University Libraries’ feature at go.osu.edu/lastinglegend. 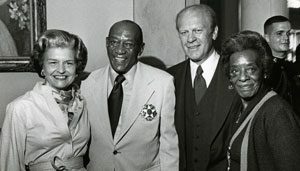 On September 12, 1913, Mary Emma Owens gives birth to James Cleveland Owens in Oakville, Alabama. The Owens family moves to Cleveland, Ohio. James Cleveland Owens enrolls in Bolton Elementary School where he becomes known as “Jesse” Owens. Owens enrolls at The Ohio State University. Owens sets world records in the 220-yard dash, 220-yard low hurdles and the long jump in less than one hour at the Big Ten Finals in Ann Arbor, Michigan. Owens finishes his last quarter at Ohio State before the Olympics. 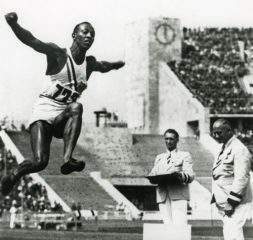 Owens wins four gold medals in the Olympic Games. He sets new world records in the 200-meter race (20.7 seconds), long jump (26 feet, 5 ¼ inches), and 400-meter relay (39.8 seconds), while tying the world record for 100 meter dash (10.3 seconds). Ford Motor Co. hires Owens as Assistant Personnel Director of African-American workers. He is then promoted to director, then later works in public relations. Owens dies of lung cancer at the age of 66. The Jesse Owens Memorial Plaza is dedicated outside of Ohio Stadium. Jesse Owens Memorial Park is dedicated in Oakville, Alabama. Jesse Owens Memorial Stadium is completed, serving as the home venue for Buckeye soccer, track and field and lacrosse events throughout the year. 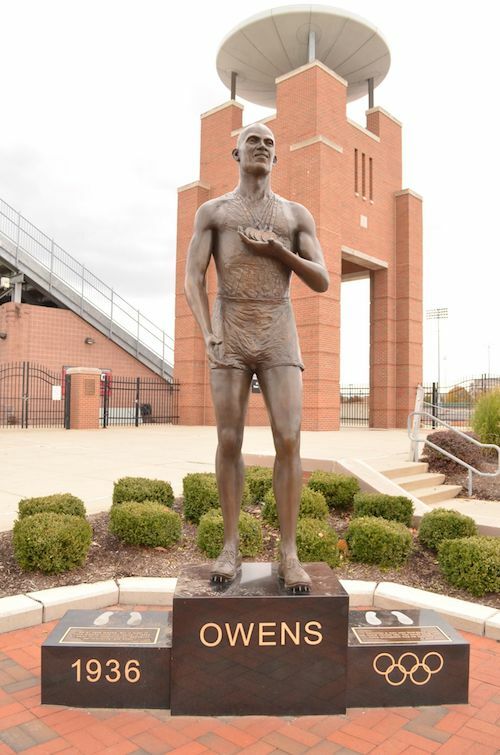 At a hearing held at Ohio State, state lawmakers hear testimony on why Owens should be chosen for a statue to be placed in the Nation Statuary Hall in the U.S. Capitol. Ohio Governor John Kasich and the Owens family help dedicate Jesse Owens State Park and Wildlife Area. Some images and content courtesy of The Ohio State University Libraries. 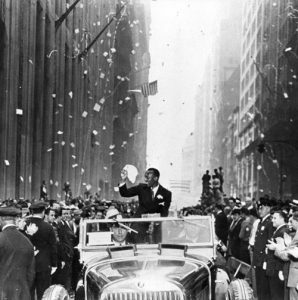 Four-time gold medalist Jesse Owens symbolized what it meant to be an Olympian not only for Team USA, but for the world. 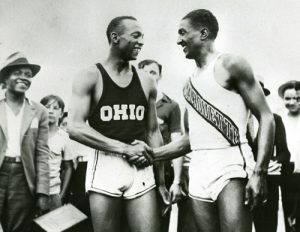 Ohio native Jesse Owens broke barriers on his way to becoming an Olympic legend.